Denver, CO: Yesterday, a coalition of conservation groups warned the U.S. Fish and Wildlife Service (Service) that Denver Water’s proposed expansion of Gross Dam in Boulder County, Colorado, would violate the U.S. Endangered Species Act. 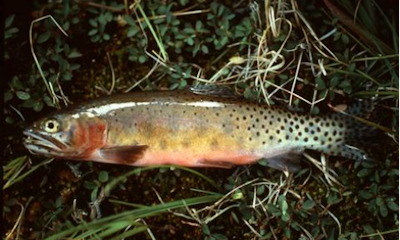 The group’s 60-day notice letter details how filling the enlarged dam would require increased diversions of water out of small headwater streams tributary to the Colorado River in Grand County that contain the “green lineage cutthroat trout”, a imperiled species listed under the Act. The result of operating this new project is that thousands of trout would be killed. The Service failed to properly analyze the threat and ensure that the loss of these native species would not doom the population when combined with the host of other challenges facing the river and the fish including climate change. The notice letter (posted here) which references, and is supported by, an expert scientific opinion (posted here) gives the Service 60 days to “reinitiate consultation” (make a new plan for protecting the trout) or face potential litigation by the conservation coalition which includes Save The Colorado, Waterkeeper Alliance, The Environmental Group, Wildearth Guardians, Living Rivers, and Sierra Club.